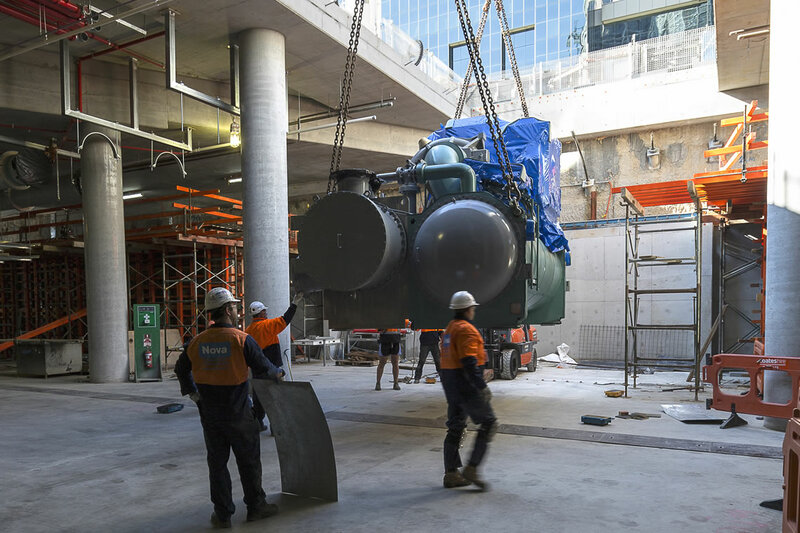 Fredon HVAC installed and continues to maintain the mechanical services for the base building at Barangaroo. The base building comprises a podium and shared services for the three towers that rise out of it. It is a large commercial project in its own right, with 80,000 sqm. commercial grade net lettable area. 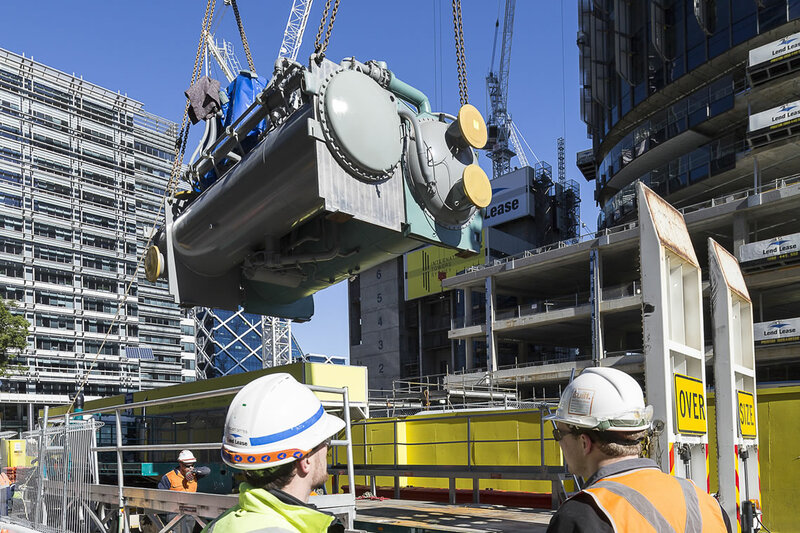 It used over 5000 chilled beams and over 100km of pipework, requiring a 200 person strong workforce for mechanical services. 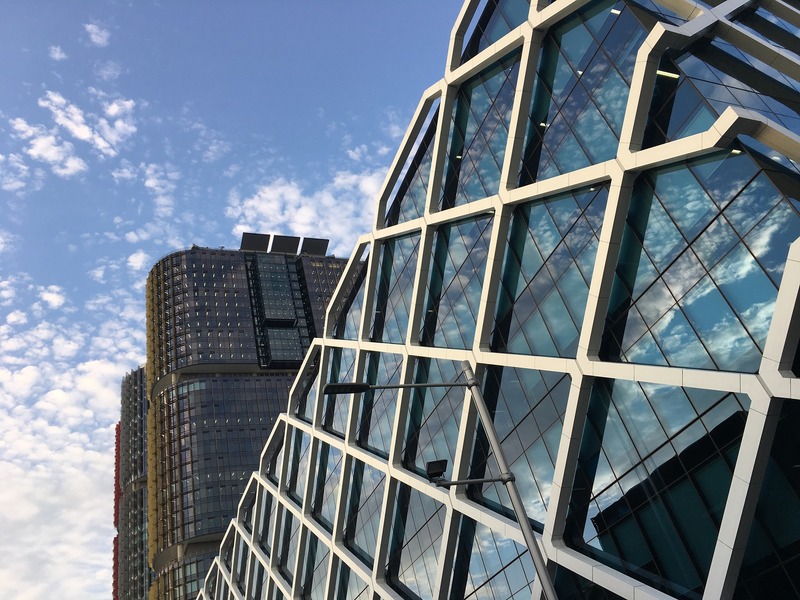 The project is notable for its environmental credential and is designed to achieve 6 Star NABERS Rating making use of advanced heat reclaim systems, a key element in achieving the objective for the entire precinct to be carbon neutral. The Fredon maintenance focusses on meeting the ongoing environmental and service standards for the unusual seawater cooled central plant and general systems.